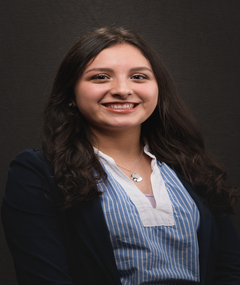 Jennifer Camacho was a junior in high school when she first learned about the University of Houston-Downtown. She received an email about an open house for the university and from there it was history. “I always loved downtown and I noticed that UHD was right next to downtown so I attended an open house and fell in love with this school and the people – they were so welcoming,” Camacho said. As a first generation college student, Camacho knew right away that UHD was her university home. It just all lined up. It comes as no surprise that Camacho has taken advantage of every opportunity available to her. She’s active on campus and is the President of the Financial Management Association (FMA) student organization. We asked: How do you prioritize your work-school-personal life? We asked: What was it about UHD Marilyn Davies College of Business that really stood out to you?